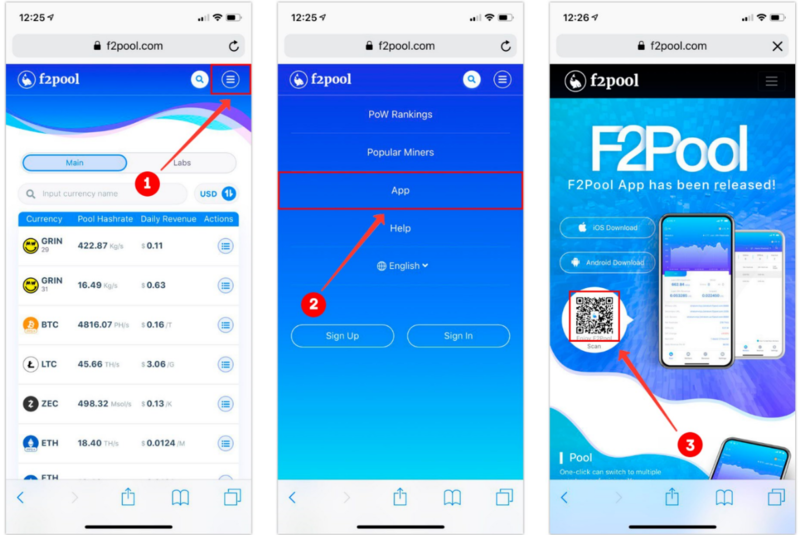 F2Pool App is an App developed by F2Pool Inc. Users can use the same functions offered on F2Pool website more conveniently by using the APP, including hashrate monitoring, mining machine management, alarm settings, revenue statistics and so on. 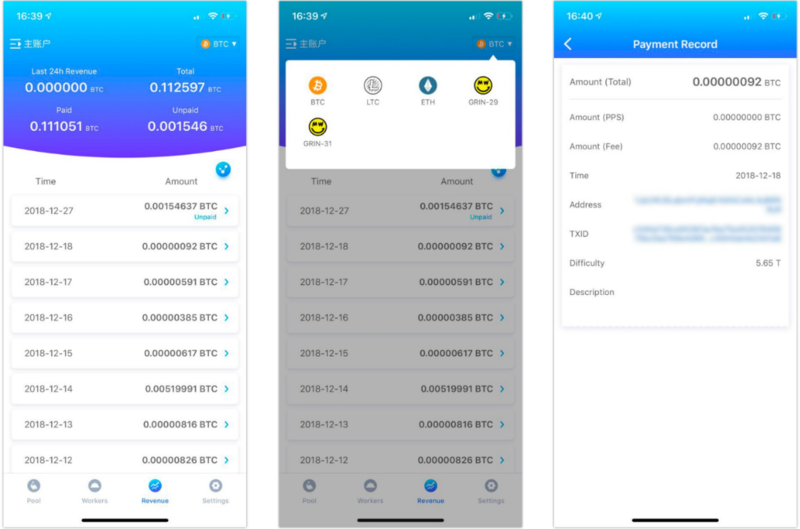 F2Pool App support BTC, LTC, ETH and GRIN mining with username, you can open F2Pool App and login to mine these coins. Other coins such as ZEC, ETC, SCC, SC, DASH, XMR, XMC, DCR, XZC, AION, BEAM, LUX, HDAC, HYC, AE, ZCR, XSC, BCHSV, BCHABC, DERO, SUQA, ETP, XMY, HCASH, DGB, GIN, MONA, GRV, ZEN, ZCL, ETN, BTM, XVG, PASC, PGN and RVN, you can enter your wallet address on free-login coin page to view the statistics of your mining machines. Please refer to section 9 “Free login coin view and settings” for more details. 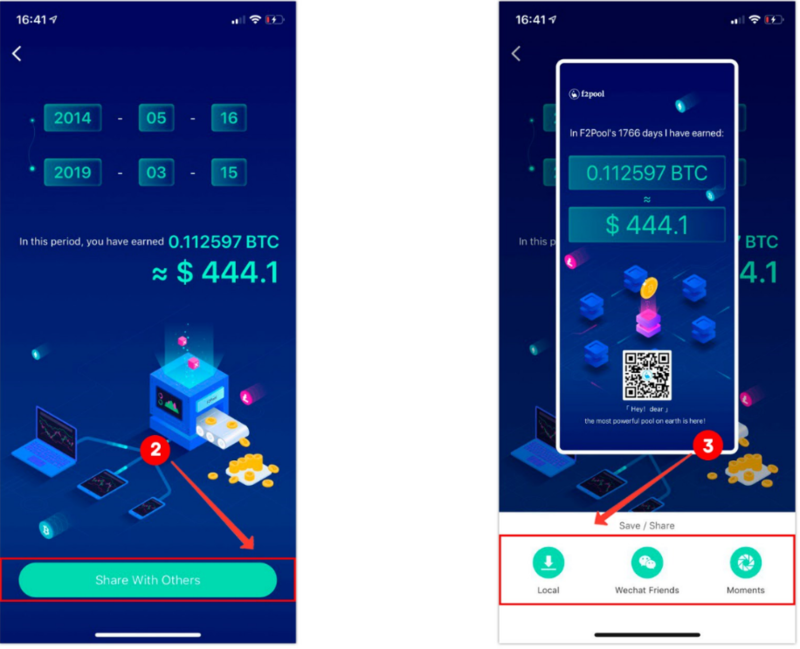 Miners can visit F2Pool official website (https://www.f2pool.com), click on “APP”, scan the QR code and download F2Pool APP. Go to F2Pool official website and click on the “App” tab to go to the App page. Scan the QR code to download the F2Pool app. Go to F2Pool official website and click on the menu bar in the upper right corner. Click the “App” tab to go to the App page. 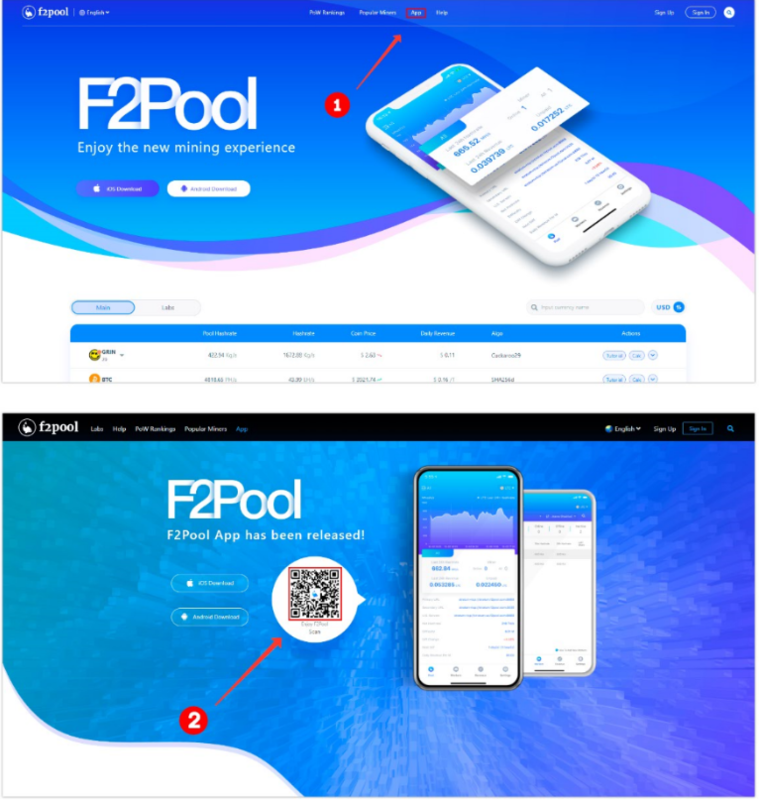 You can also search “F2Pool” in application stores to download the official F2Pool APP. You can search F2Pool in Google play, Baidu mobile assistant, Anzhi market and 360 mobile assistant. 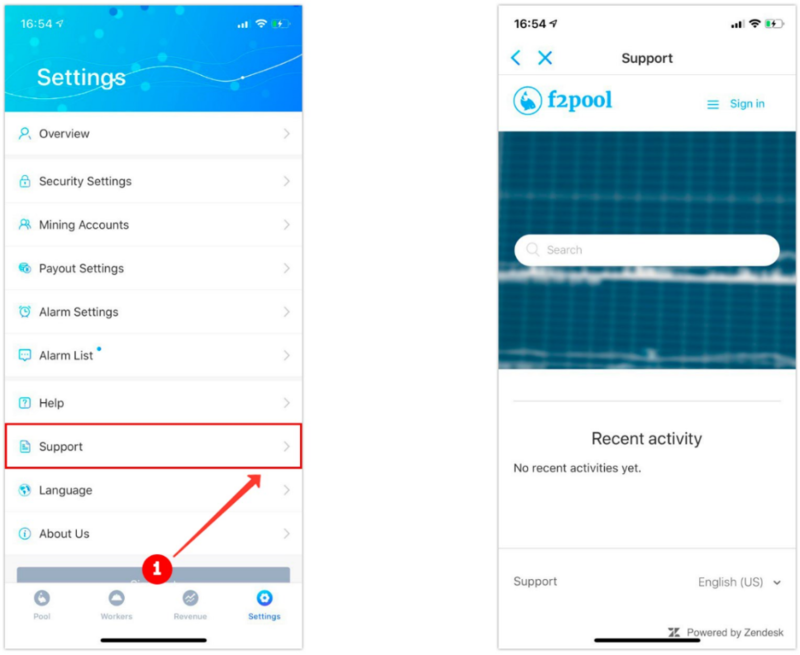 If you use MEIZU devices, you can download F2Pool in Official application store directly. 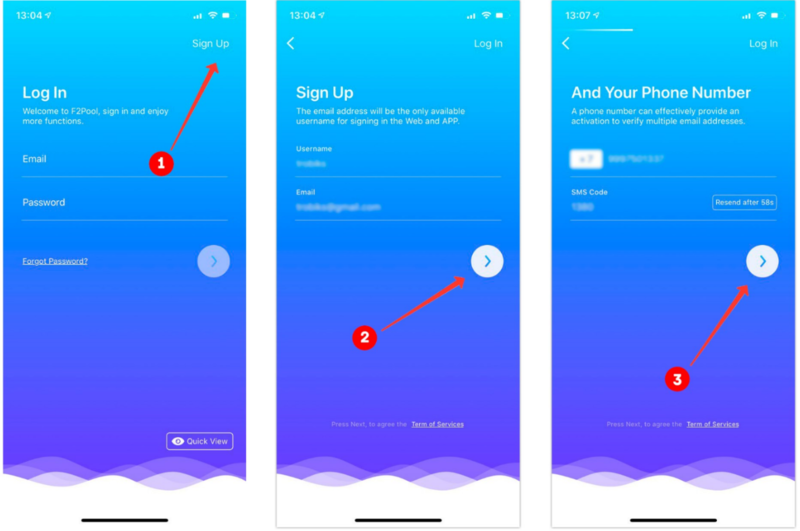 New users would need to sign-up and login first. 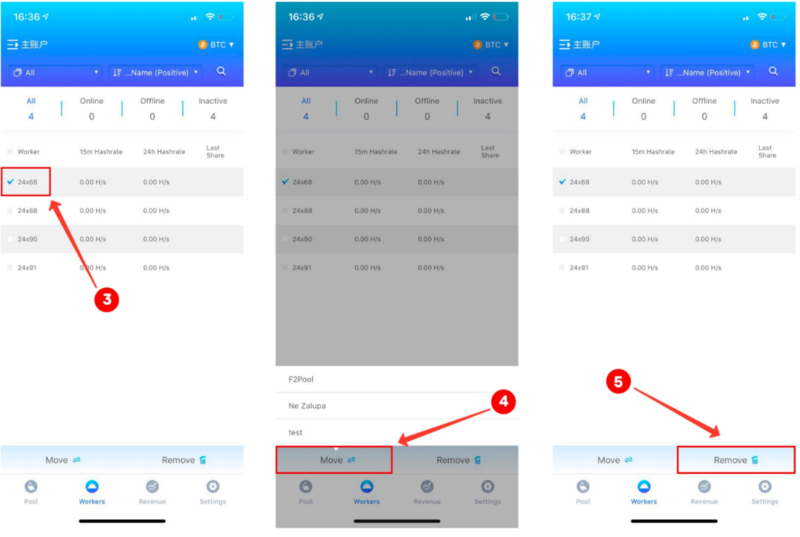 For existing users, please skip the this step, you can directly login to view the settings and miner management details. 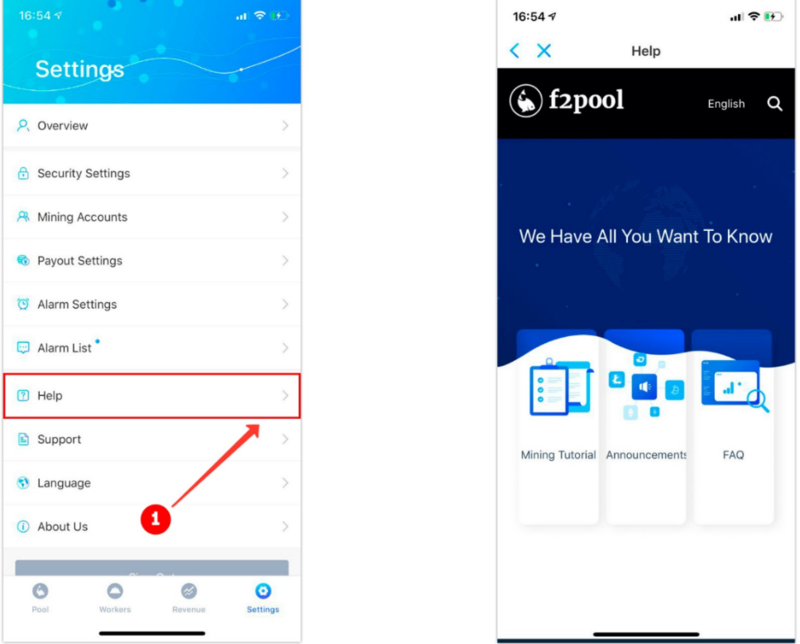 After downloading and installing F2Pool in your mobile phone, you need to sign up if you don’t have a F2Pool account. 1.1 Click the ‘Sign-Up’ button on Log In page. 1.3 Input your mobile phone number, click ‘Send SMS Code’, then input the code and click the button below. 1.4 Set your password and verify, then click the button below. 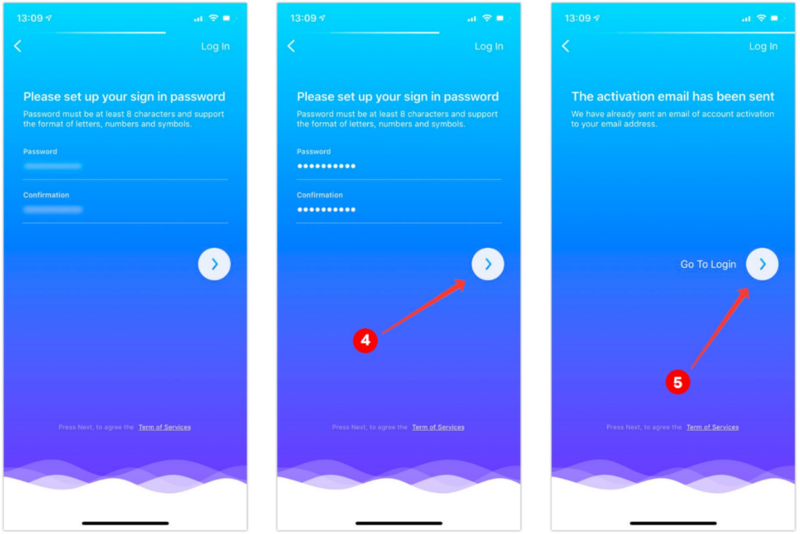 1.5 F2Pool will send you an activation email, please turn to your mailbox and click the activation link to finish the account activation. After you activating your account, please click on ‘Go To Login’ page. 2.1 Input your email address and password on log in page. 2.2 Click the button below to log in F2Pool. 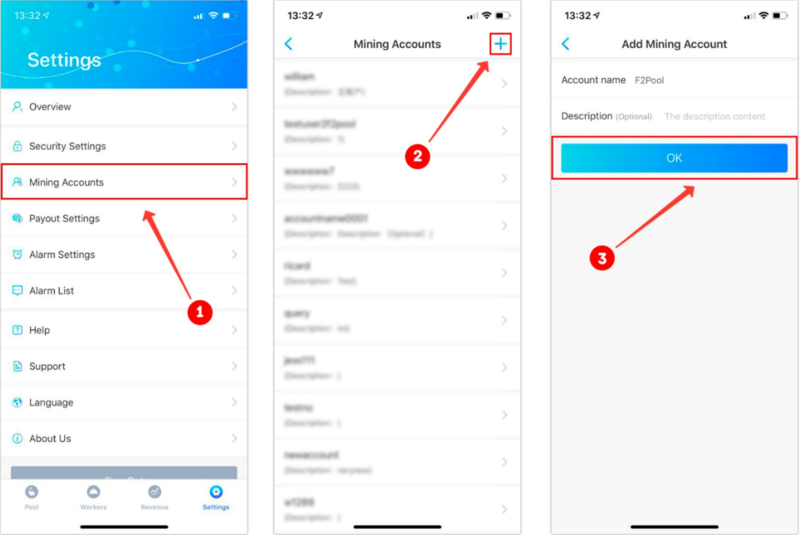 Miners can add mining account in settings. 1.1 Click Settings > Mining Accounts. 1.2 Click the ‘➕’ button. 1.3 Input the Account name and Description (optional), then click the ‘OK’ button. Miners can set your wallet address in payout settings. 2.1 Click Settings > Payout Settings. 2.2 Select your mining account. 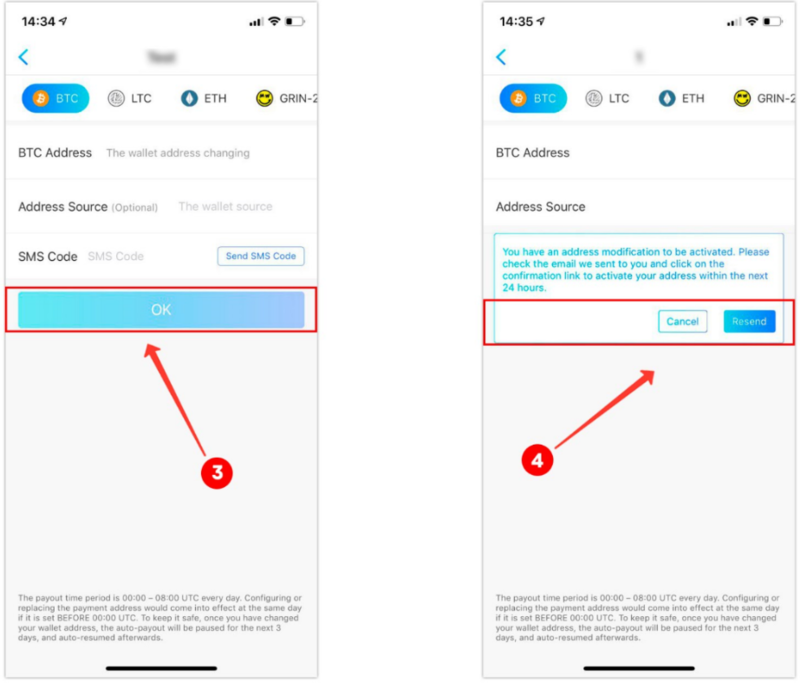 2.3 Select the currency, then input your wallet address. You can also remark the source of address. 2.4 Click ‘Send SMS Code’ button and input the code you received then click ‘OK’ button to finish payout setting. 2.5 F2Pool will send an email to confirm the address. 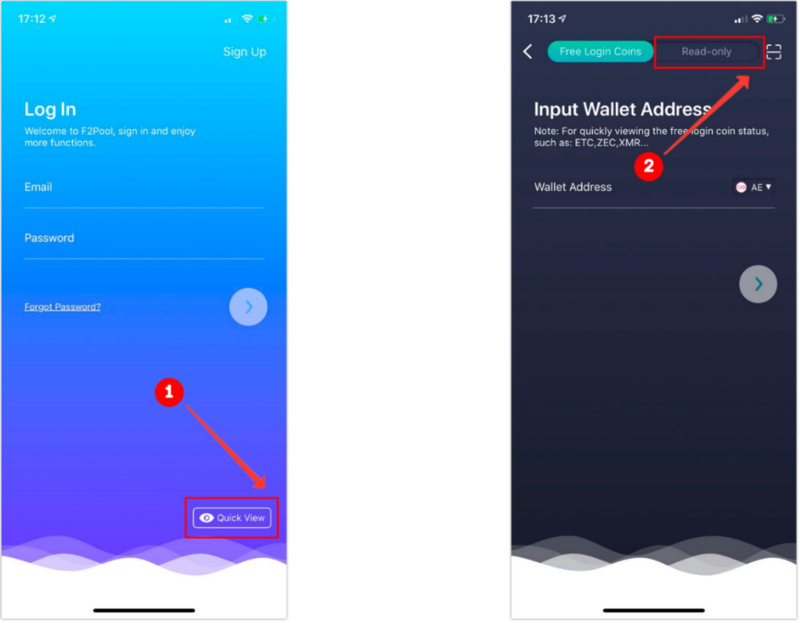 Please click on the link to activate the wallet address within 24 hours. If you do not find the confirmation email, please check the mail trash or advertisements in your email. If you still haven’t received the email, please click resend again. Please note: The payout time of F2Pool is from 0:00-8:00 UTC. 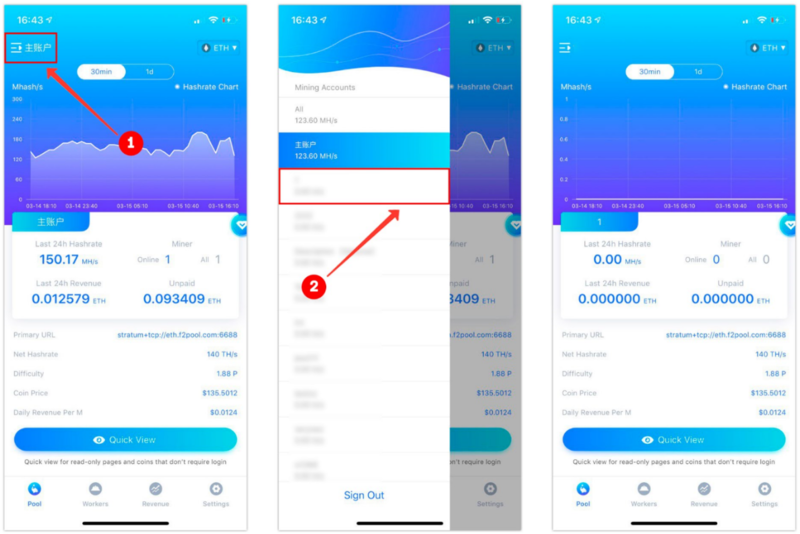 If the settings or modification of the wallet address is before 0:00 UTC, it will take effect on the following day. 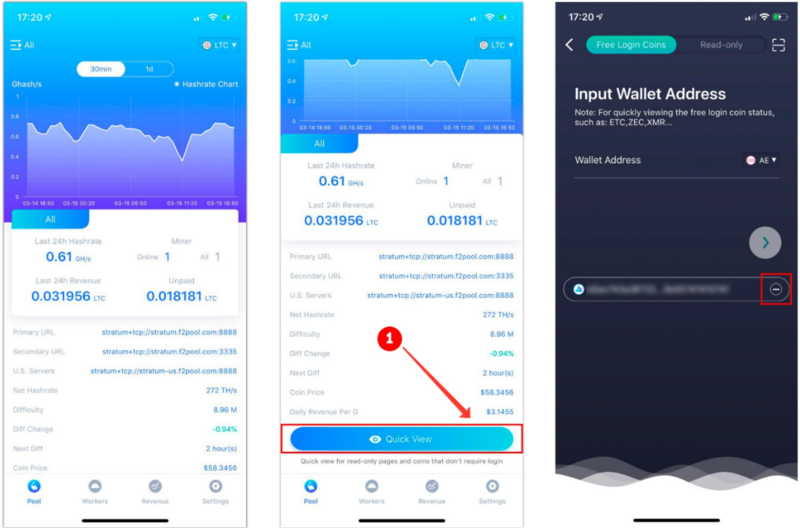 In order to ensure security, if the wallet address is set or modified, the auto payment will be suspended for 72 hours. 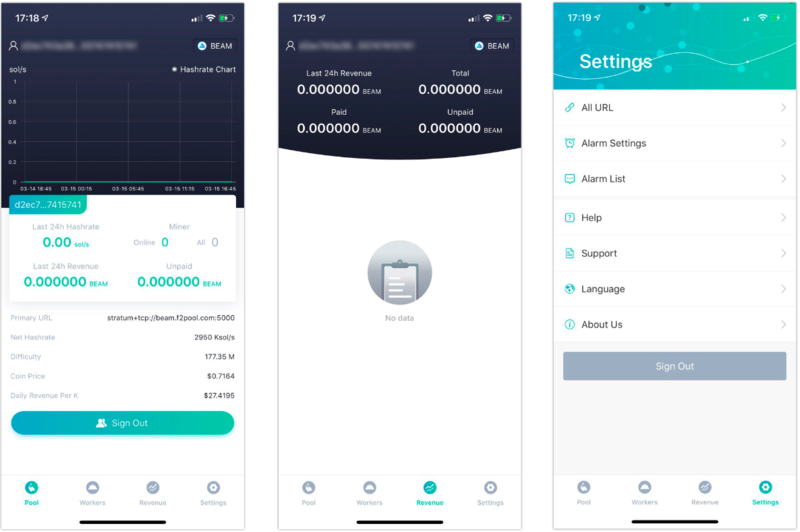 Miners can set worker’ offline alarm for different currencies in different mining account. 3.2 Select the mining account. 3.3 Select the currency. Open alarm button and adjust the alarm frequency. Please note: you need to authorize the notification for F2Pool in system settings in advance. Emergency alarm: When the miners under the account are offline, the alarm will be triggered. Advanced alarm: When the miners under the account having a large area are offline, the alarm will be triggered. Immediate alarm: When multiple miners under the account seem to go offline, the alarm will be triggered. Ordinary alarm: When miners under the account seem to go offline, the alarm will be triggered. Different levels can be set to different sounds to distinguish the emergency level. 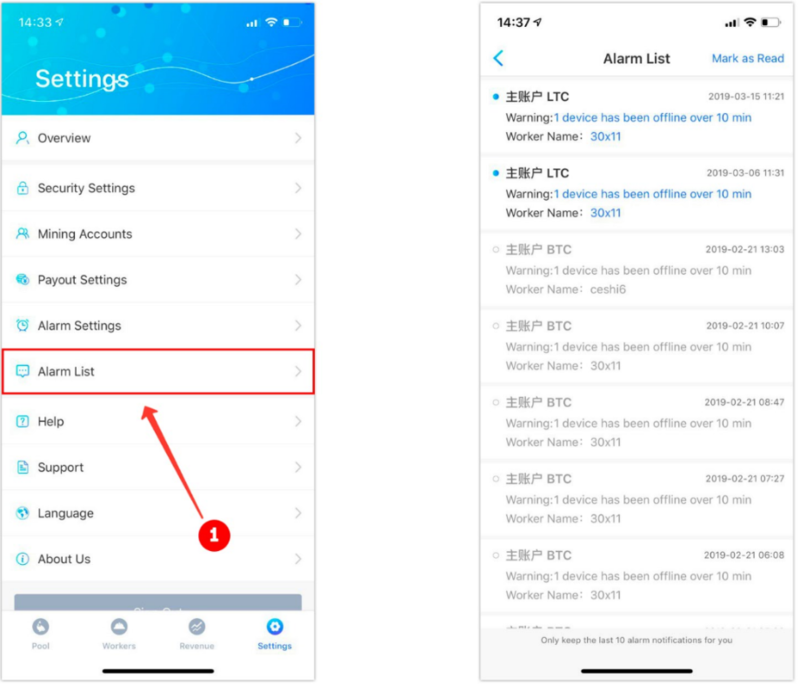 Miners can receive alarm by APP push, and can also review the alarm history. 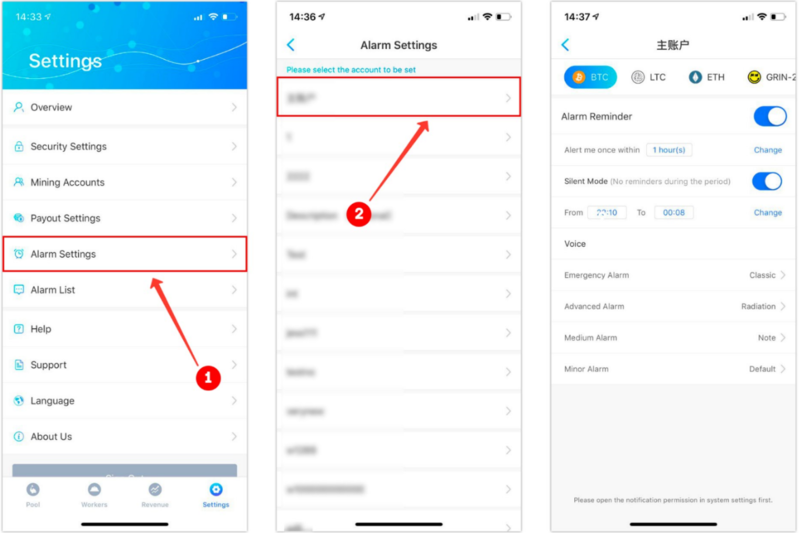 4.1 Click Settings > Alarm List, you can see all records in your alarm history. 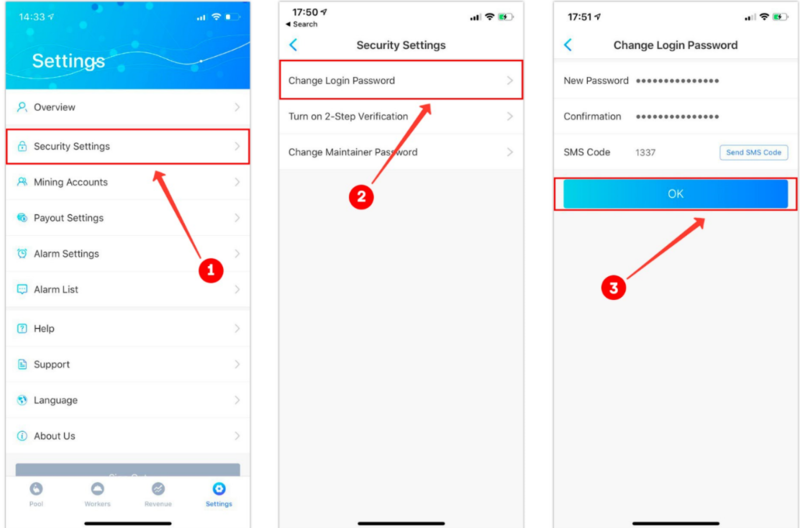 Miners can change login password in security setting. 5.1 Click Settings-Security Setting-Change Password. 5.2 Enter your new password and confirm it. 5.3 Click ‘Send SMS Code’ button, input the code you received then click ‘OK’ button to finish. The methods of BTC and LTC mining configuration. You can follow the instructions on Workers page to finish configuration. 1.1 Connect the LAN, sign in the backstage of mining machine by browser. 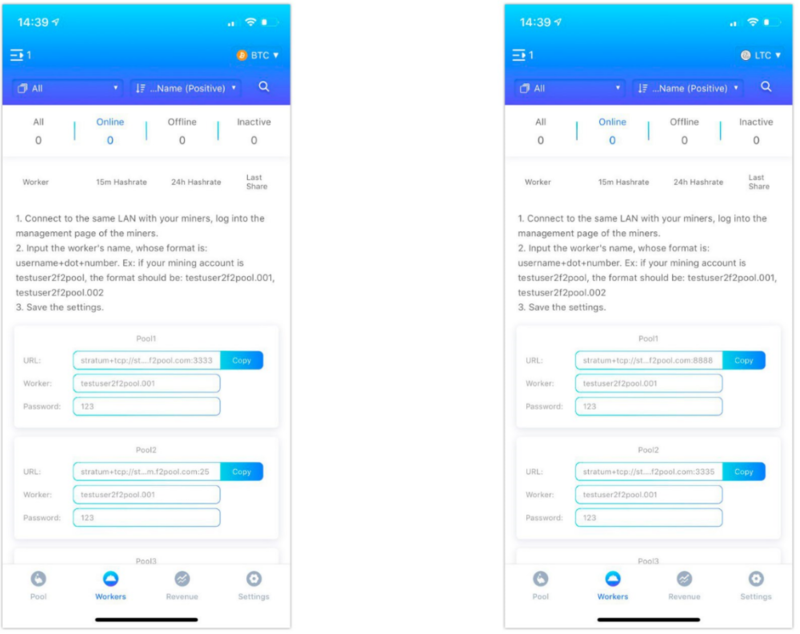 1.2 Fill in the mining pool’s information, including URL and worker name. You would need to name your worker according to this format: username+’.’+number. Each worker name corresponds to a mining machine. You can manage your workers on workers page and check your workers with different status. 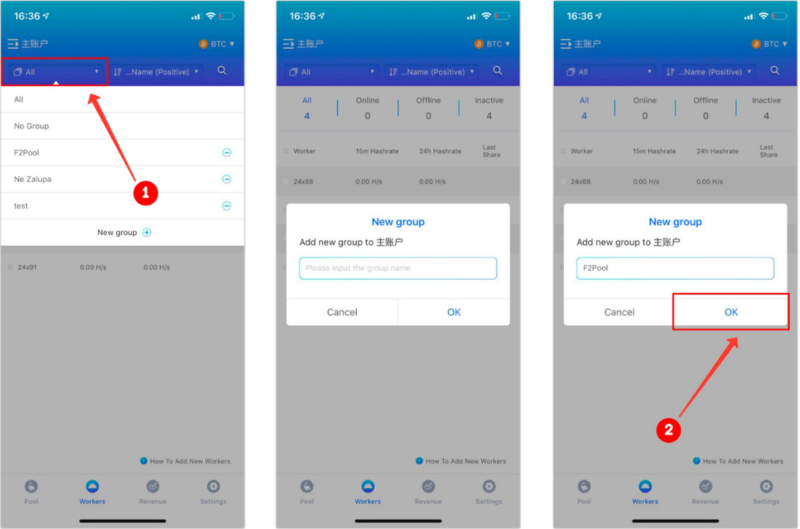 3.1 Click the group list then you can switch to another group. 3.2 Click ‘New group’, enter the group name and click ‘OK’ button. 3.3 Check the worker’s name. 3.4 Click the ‘Move’ button and choose the group for moving the worker to that one. 3.5 Click the “Remove” button for removing the worker from the current group. 4.1 Click the sort list. 4.2 Choose a method you would like to make the miners sort by. 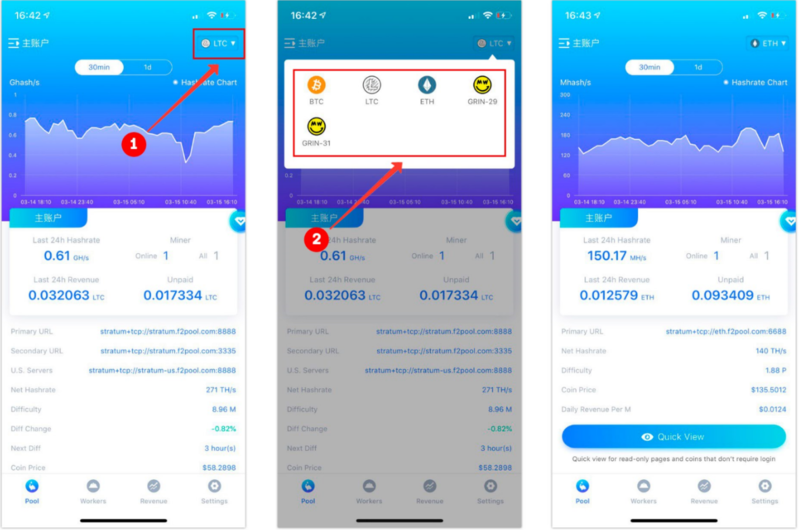 At 0:00 UTC every day, we process your revenue given that the balance is greater than or equal to the payout threshold, the payout address is not empty, and no payout address change was performed in the past 72 hours. Miners can view the payment history and the payment status on revenue page. You can also click on any payment record to review the details. F2Pool creates a revenue statistics page for miners to share, you can view your statistic data and share with your friends. 2.1 Click the share button on revenue page. 2.2 View your revenue status. 2.3 Slide the page down to the bottom, click the ‘Share With Others’ button. 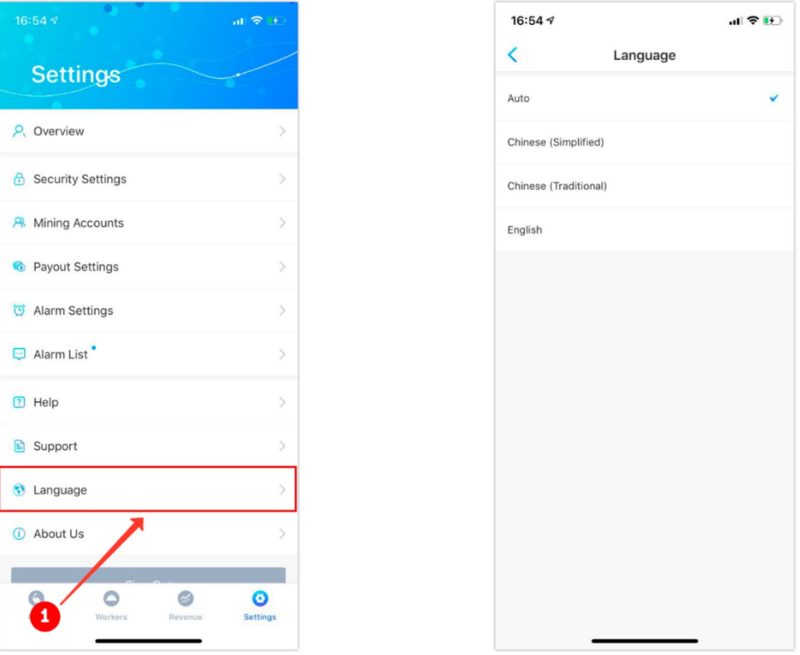 2.4 Choose a channel you want to share with, you can save it to local album or share with WeChat. On the pool page, you can check your hashrate and have a view of your configuration. You can click the currency button at the upper right corner to change currency and review the related data. 3.1 Click the account name at the upper left corner to view the account list. 3.2 Choose the sub account you want to view. 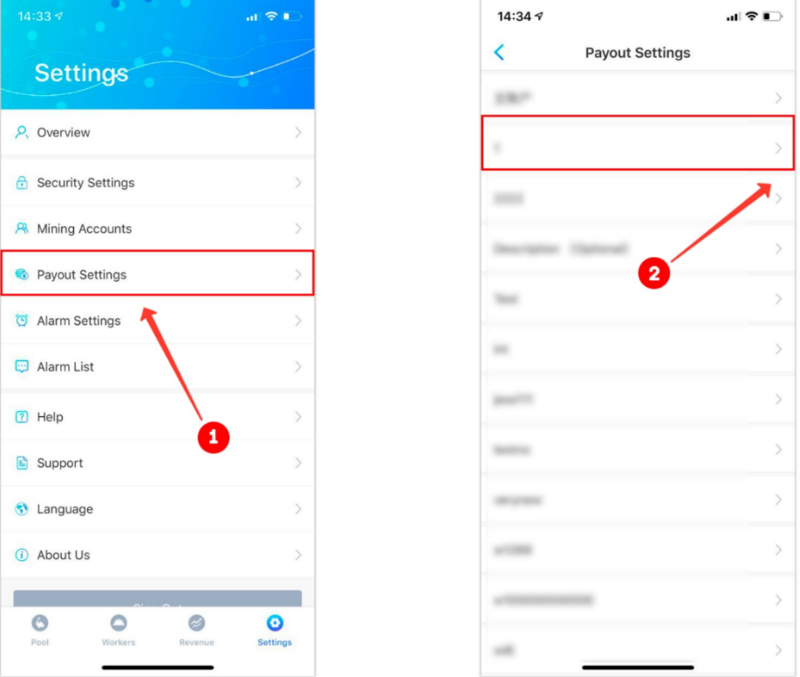 In overview, you can change your mobile phone number, add and modify your email address and view your account log-in history. To enhance your account security, our miners can setup 2-step verification in the security settings. 2.1 Click settings > security settings > turn on 2-step verification. 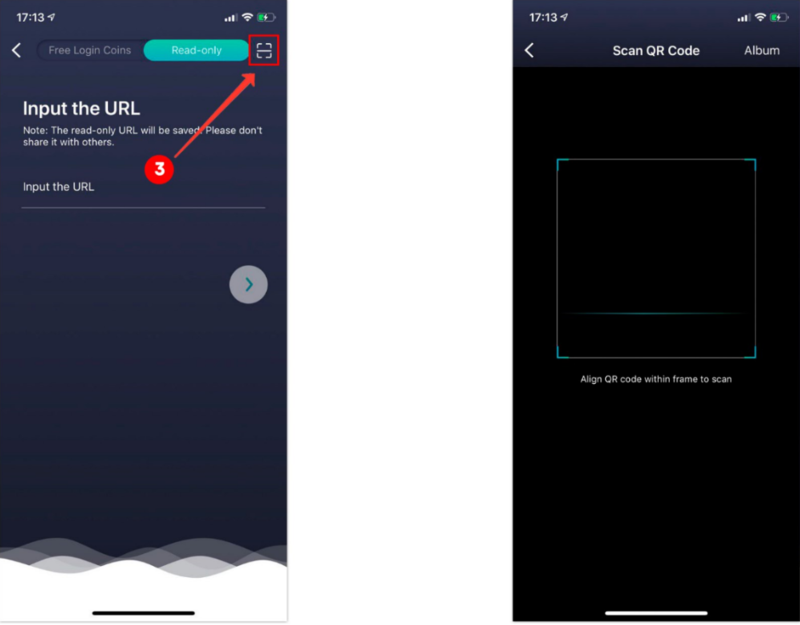 2.2 Use Google Authenticator App to scan the QR code or enter the 16-digit key, read the instruction, tick two checkboxes below to confirm you have read it and click on “Next”. 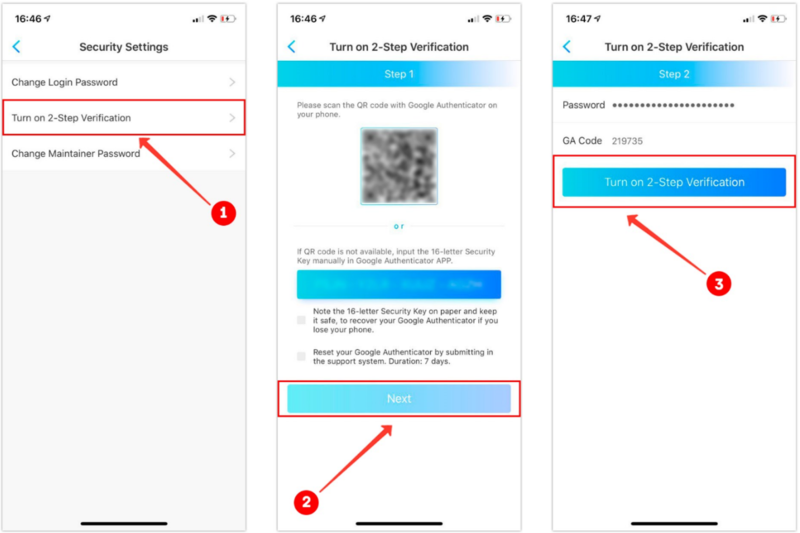 2.3 Enter your log-in password and Google authenticator code and click on “Turn on 2-step verification”. Our miners can turn on the maintainer password for miner maintenance. 3.1 Click settings > security settings > enable maintainer password. 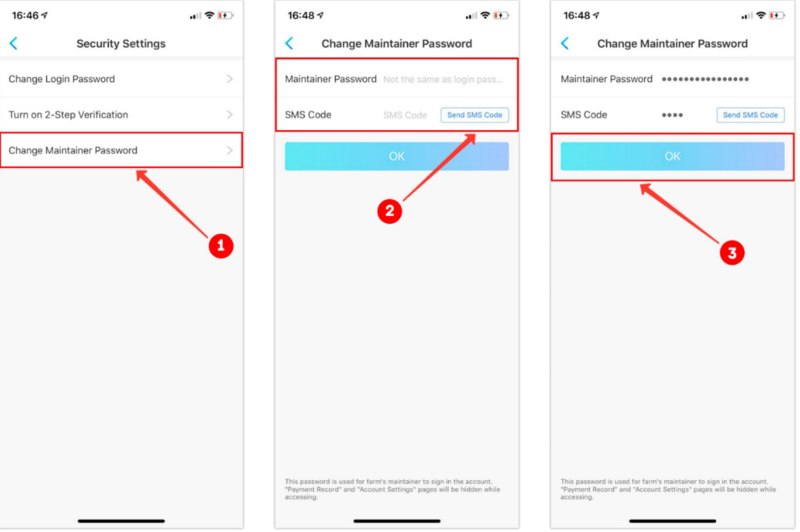 3.2 Enter your maintainer password and SMS code > click OK. Please note: Logging in with the maintenance password will hide the information related to revenue and account settings. Our miners can click on Settings > Help to go to F2Pool help center. The help center provides mining tutorials, announcements and FAQs. Have problems that you can’t solve? Please submit your problem by requesting a ticket, F2Pool customer service will help you solve your problem at anytime. Please note: Ticket can only be submited after logging in. F2Pool currently supports 3 languages (Simplified Chinese, Traditional Chinese and English). Our miners can easily switch between different languages as needed. 7.1 Click Settings > Mining Accounts. 7.2 Choose the mining account that you want to obtain the read-only page. 7.4 Copy the link or save the QR code. 8.1 Click the “Quick View” button on the login page. 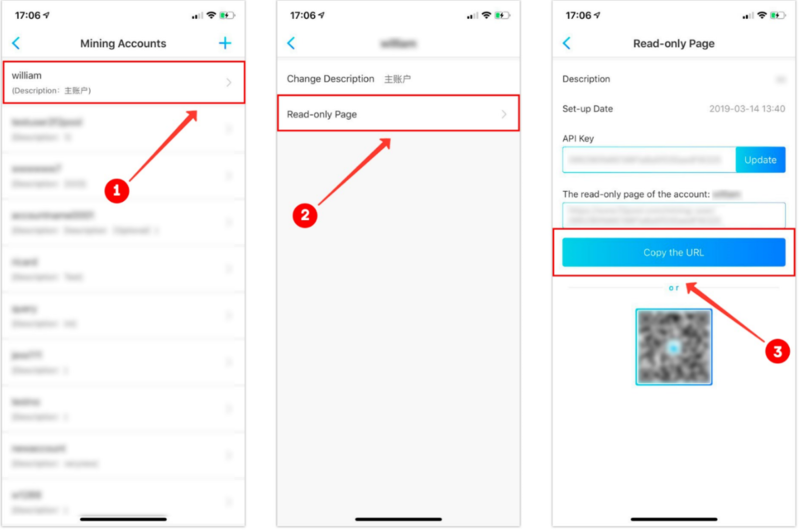 8.3 Input the read-only page URL or the click the button below or scan the read-only page QR code. 9.1 Click the “Quick View” Button on login page. 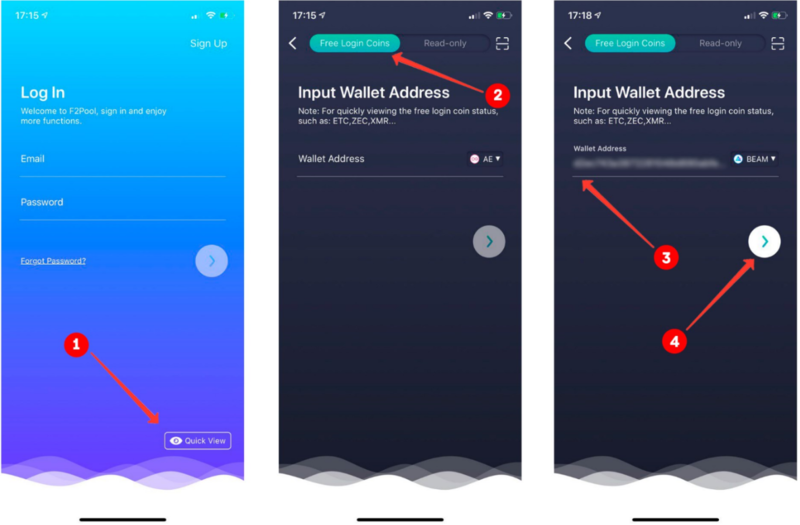 9.2 Input the wallet address. 9.3 Click the button below. 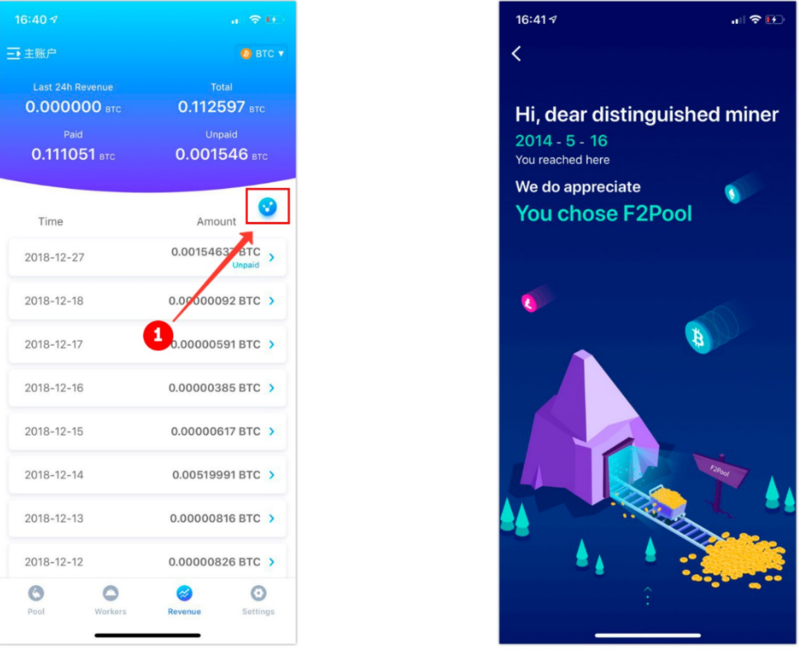 Thank you for using F2Pool APP, if you have any issues, you can give feedback to us via Facebook, Twitter, Telegram or the support page on our website.